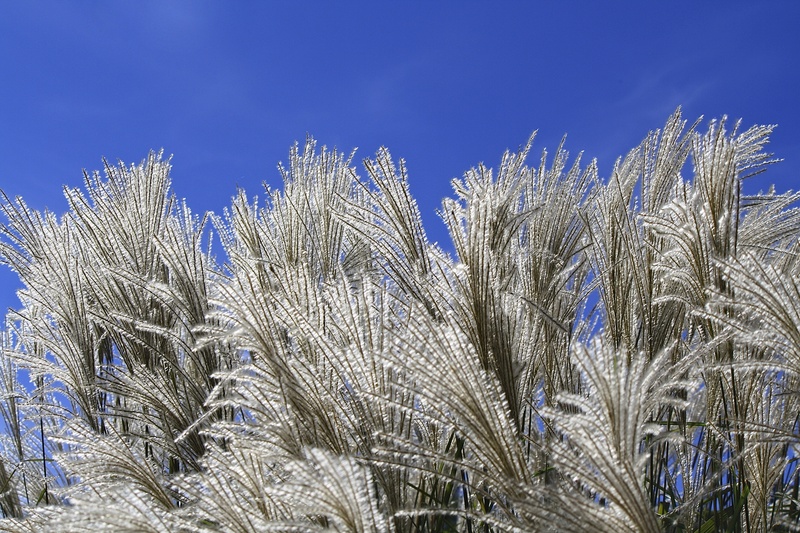 Image | This entry was posted in Country Gardening, My Photos and tagged blue sky, gardens, grass, maiden grass, miscanthus sinensis, nature photography, photography, seed heads, Wordless Wednesday. Bookmark the permalink. That is a stunning photo Eliza. If you catch grasses at just the right time they are magnificent. Thank you, Gillian. It’s been a great year for them, sunny and not a lot of rain. Lovely contrast of colours Eliza, your sky is a startling blue. Thank you, Julie. It was such a gorgeous autumn day! Really pretty, Eliza. I love grass, and against the sky…lovely. Thank you, Mary. I love it when we get that intense blue sky. It doesn’t happen unless the air is very dry (you get them all the time I expect). Yup, we do and I love it! Especially this time of year with the golden aspens against it. Today turned pretty cold, though. I guess winter is here. So very lovely against the bright blue sky. I can feel a wind over here! Just gorgeous! Love the interplay of the colors! Thank you, Kim. It was a spectacular autumn day! So soft and gently swaying in the breeze. You have caught nature at its best. Looks like a celebration to me.